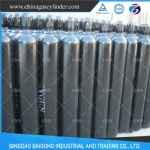 CONCENTRATION: Carbon dioxide is sold as pure product > 99.9%. 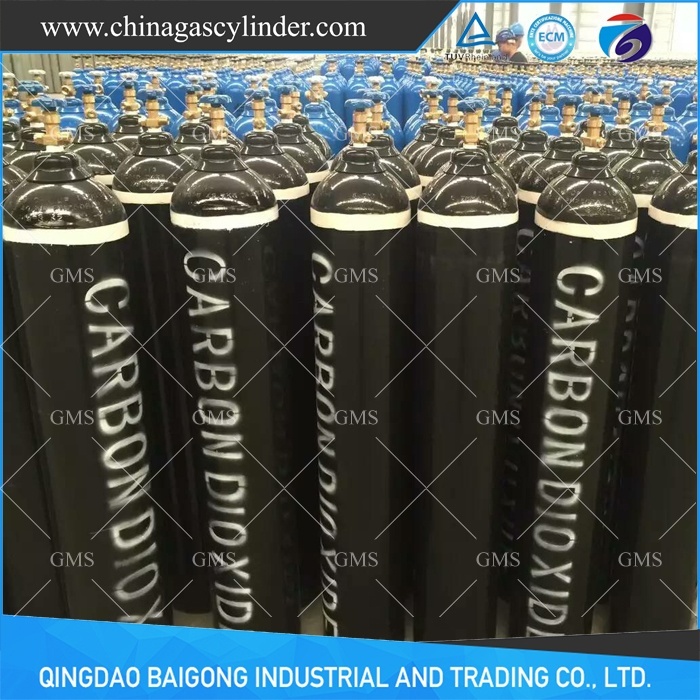 Carbon dioxide is a nonflammable liquefied compressed gas packaged in cylinders under its own vapor pressure of 838 psig at 70℉ (21.1℃). High concentrations can cause rapid suffocation and can also increase respiration and heart rate. Contact with liquid may cause frostbite. Avoid breathing gas. Self contained breathing apparatus (SCBA) may be required by rescue workers. STORAGE: Cylinders should be stored upright in a well-ventilated, secure area, protected from the weather. 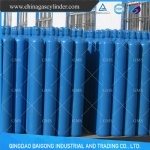 Storage area temperatures should not exceed 125℉ (52℃). Storage should be away from heavily traveled areas and emergency exits. Avoid areas where salt or other corrosive materials are present. Valve protection caps and valve outlet seals should remain on cylinders not connected for use. Separate full from empty cylinders. Avoid excessive inventory and storage time. Use a first-in first-out system. Keep good inventory records. HANDLING: Use a suitable hand truck for cylinder movement. Never attempt to lift a cylinder by its valve protection valve cap. 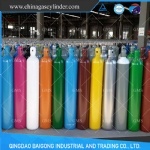 Never apply flame or localized heat directly to any part of the cylinder. 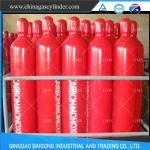 Do not allow any part of the cylinder to exceed 125 °F (52 °C). 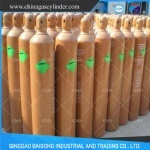 High temperature may cause damage to cylinder and/or premature failure of pressure relief device which will result in venting of cylinder contents. If user experiences any difficulty operating cylinder valve discontinue use and contact supplier. Never insert an object (e.g., wrench, screwdriver, pry bar, etc.) into valve cap openings. Doing so may damage valve causing a leak to occur. Use an adjustable strap wrench to remove over-tight or rusted caps. Only the proper CGA connections should be used, never use adapters. Use piping and equipment adequately designed to withstand pressures to be encountered. If liquid product is being used ensure steps have been taken to prevent entrapment of liquid in closed systems. 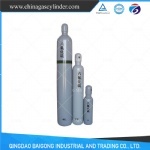 The use of pressure relief devices may be necessary. Use a check valve or other protective apparatus in any line or piping from the cylinder to prevent reverse flow. Carbon dioxide is compatible with all common materials of construction. Pressure requirements should be considered when selecting materials and designing systems. Use a “FULL”, “IN USE”, and “EMPTY” tag system on cylinders. 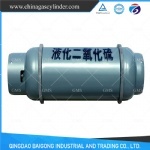 This will reduce the chances of inadvertently connecting or operating the wrong cylinder. APPEARANCE, ODOR AND STATE: Colorless and odorless. 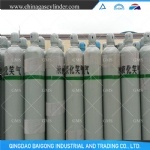 A slightly acid gas. It is felt by some to have a slight pungent odor and biting taste. SPECIAL SHIPPING INFORMATION: Cylinders should be transported in a secure upright position in a well ventilated truck. Never transport in passenger compartment of a vehicle.